GIRARD — Anna C. DiPaolo, 83, of Girard, died at 7:34 a.m. Friday, Feb. 2, 2018, at her residence. She was born April 4, 1934, in Barrea, Italy, the daughter of Biagio and Ulga Campana Musilli. Anna was employed at Hillside Hospital for 21 years, retiring in 1996. She was a member of Our Lady of Mount Carmel Parish in Niles and enjoyed sewing, cooking, baking and playing bingo. 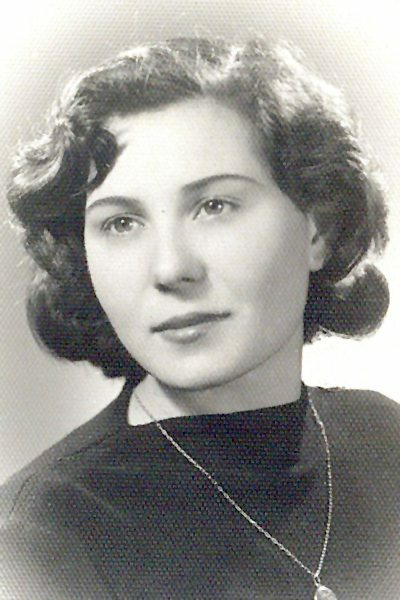 She will be sadly missed by her husband, Quirino DiPaolo Sr. whom she married Aug. 21, 1958; three sons, Eugene DiPaolo of Warren, Quirino DiPaolo Jr. of Girard and Sergio DiPaolo of Girard; a sister, Maria Musilli of Sulmona, Italy; and three grandchildren, Anthony, Giancarlo and Dante. Friends may call 8:30 to 9:30 a.m. Tuesday at the Joseph Rossi and Sons Funeral Home in Niles. A Mass of Christian burial will be 10 a.m. Tuesday at Our Lady of Mount Carmel Church in Niles, preceded by a 9:30 a.m. prayer service at the funeral home. Burial will be in Pineview Cemetery. Family and friends can light a candle, sign the guest book, and send e-mail condolences at www.josephrossifuneralhome.com.